I’ve been following this site for some time and have decided to join in the fun. 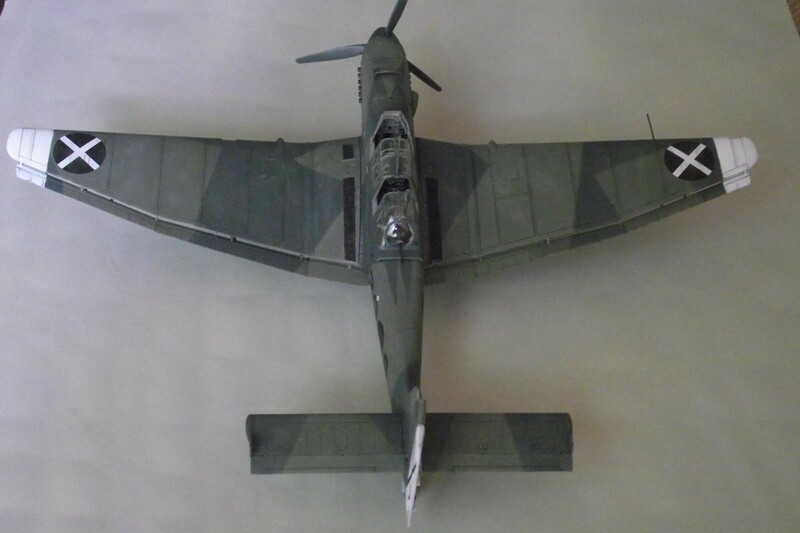 This is my recently completed Airfix Stuka. A great all around kit. Good detail and fit, nice decals , easy to follow instructions and reasonably priced. Painted with Model Master acrylics, PE seat belts, antenna wire made from… nothing. Oops , I forgot to put it on! Dave, first let me welcome you to iModeler, I’m sure you’ll enjoy posting as much as commenting other people’s models. This site has a lot of friendly and talented folks so we all learn something new at the end of the day. Pedro, I enjoyed building the kit. I thought the cockpit detail a bit sparse. Controls surfaces are separate and can be positioned. Parts fit was good. No filler was needed.The kit comes with a nicely detailed engine which I chose not to use. Getting the closed cowling parts to fit was a bit tricky. I think the kit was designed to have the cowling parts off to show the engine. The decals are thin and settled into the engraved panel lines with Micro-Sol. Welcome Dave, that is a very impressive Stuka! It looks very ‘hard-edged’ in the Condor Legion colours. Great job, can’t wait for the next one! Nice early Stuka! Welcome to the site. Welcome aboard !!! 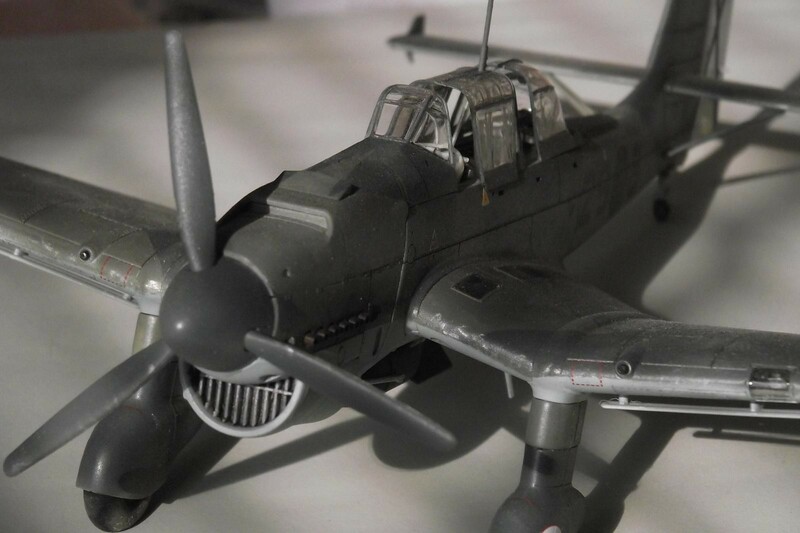 Your Stuka looks great…….. you normally don’t see them in the Legion Condor markings. 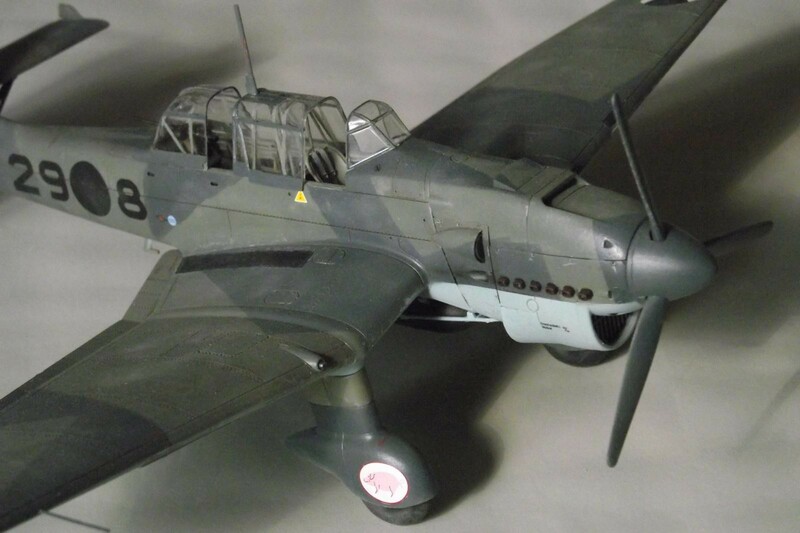 I’ll bet the new Airfix Ju-87’s are great kits. Thank you Louis. The Legion Condor marking caught my eye too. Let me add my compliments to your build AND my “welcome aboard” as well. 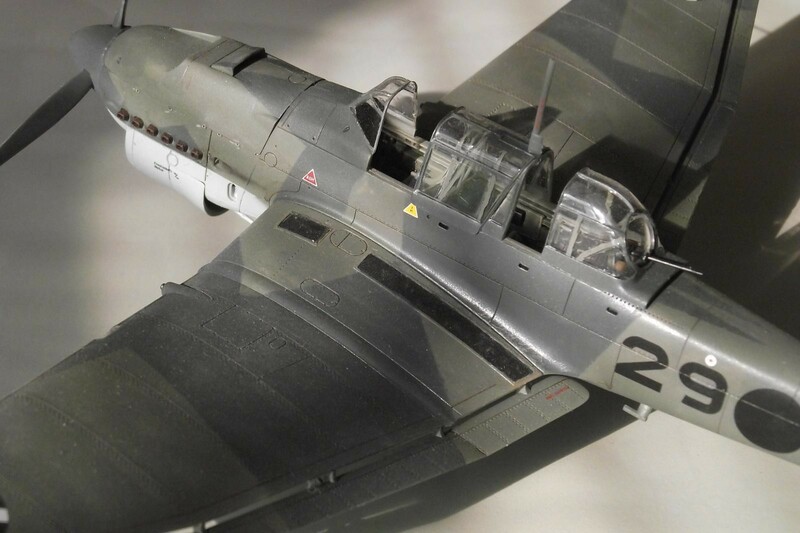 Dave, Welcome to imodeler, and thanks for sharing your very nice looking Stuka. I like it a lot ! Welcome to the asylum (as we inmates like to call It). I think you’ll find this a great place to share your craft. Great work on this build. Look forward to your future posts. It’s only an asylum when looking from the outside. Makes sense to us who are inside the world of modeling. Dave, awesome build! Great finish and perfect assembly. Your paint job is perfect. It is a lot of fun to post your work here and talk about it. I enjoy posting as much as I enjoy making the models. Actually the motivation to post and write about my experience pushes me to make more models to post about…LOL. I welcome you to the posting community. Lets see some more really soon! Thanks Paul. I am already looking through my stash for the Nose Art group build. Beautiful work on that kit – it’s a real honey, the best Stuka kit out there IMHO. Welcome aboard! Yup , I liked the Airfix kit too. I think they did a very good job. 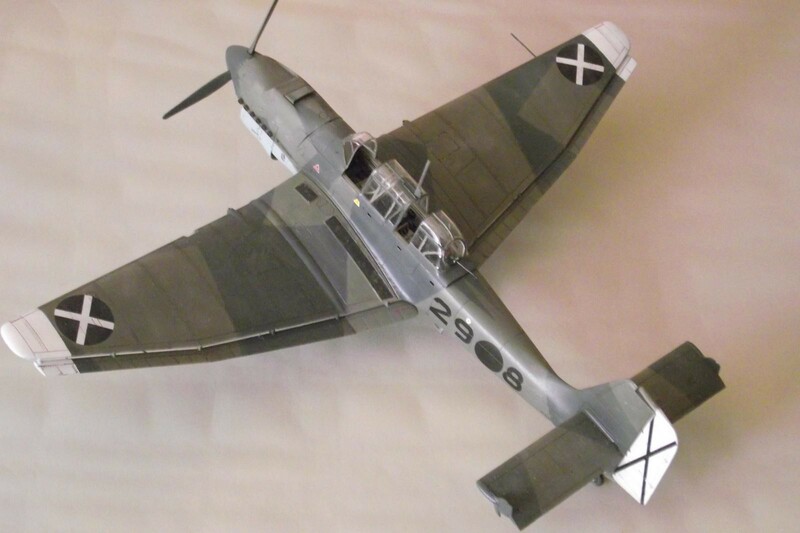 One great-looking Stuka Dave! And welcome aboard – it’s a great community. Welcome onboard at iModeler. Nice to see a Ju 87 in the Spanish markings, these would be my favorite, too. Thanks for sharing! Thank you Martin for creating this wonderful site. Welcome to iModeler, Dave! Love the Stuka – especially in the Condor Legion livery! Thank you Jeff. It was the Condor Legion markings that made me buy this kit. I was looking for something different.